As we all know, WhatsApp is one of the most successful and downloaded mobile application on Google’s Play Store and IOS App Store. As per the last year report, this app is having a user base of over a billion people from all across the globe. App is providing lots of updates and features after it was taken over by Facebook. 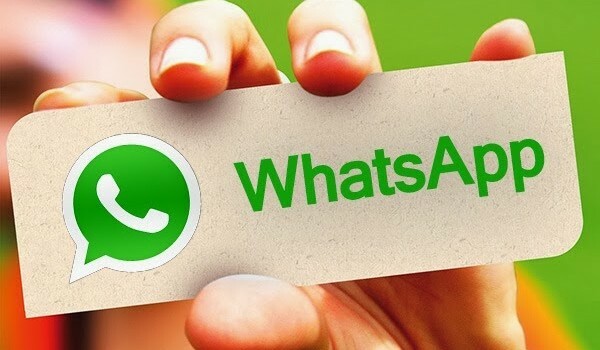 In this article I’m providing you some useful WhatsApp tips and tricks that can change your messaging experience. Hide Your Chats- You can hide/save your chats within the app by archiving them. To access this option, go to the chats page, tap and hold on the chat you need to archive. After selecting that chat, a button on the top-left screen will appear, tap that button and your chat will get archived. You can access these chats anytime by scrolling down to chat page and click on Archived chats. Design on Image- In last updates WhatsApp started offering features similar to that of Snapchat. You can edit an image before sending by using various stickers, overlay text or crop the image before sending. This is most awaited feature of WhatsApp. Highlight Texts- This new feature mostly used in group chats and in long threads of texts. WhatsApp user can highlight texts by selecting the text and clicking on the arrow button on the top right of the screen. Tag anyone within the Group- Lots of people using WhatsApp groups for personal and professional work. Now in WhatsApp you can tag any member of a WhatsApp group by using ‘@’ symbol before writing their name. Silent Or Mute Individual/Group Chat- Everyone got tired of constant getting WhatsApp notifications, not more, you can mute conversations for a specific duration. For this feature user just has to tap and hold that specific chat and click on mute button on the top of the screen. You can also select the time duration between three options, eight hours, one week or one year. I personally very happy after using this feature. So, Guys use this above features and enjoy this instant messaging app.